Summary: A sermon examining the importance of church attendance. Francois Fenelon was the court preacher for King Louis XIV of France in the 17th century. One Sunday when the king and his attendants arrived at the chapel for the regular service, no one else was there but the preacher. King Louis asked the preacher, "What does this mean?" The preacher replied, "I spread the word that you would not be attending church today, in order that your Majesty might see who serves God in truth and who is just here to flatter the king." - Source Unknown. This problem that was prevalent in the 17th century is still a problem today! Here in the 21st century many people attend church for the wrong reasons. Could that be said of you? What is the real reason that you are here right now? a. Are you here because of obligation? - Do you have certain job or position in the church and you feel obligated to be here to perform that certain task? I am grateful for those who are dedicated to their area of service, but simply coming out of obligation is not enough! b. Are you here out of habit? - Has church become something that you just "do" because it is what you have always done? Attending church is very beneficial, but it should not be done simply because it is a habit. c. Are you here to see or to be seen? - Christian fellowship is a fantastic benefit of attending church but it should not be our primary motivation. d. Are you here because of what the church can offer you? 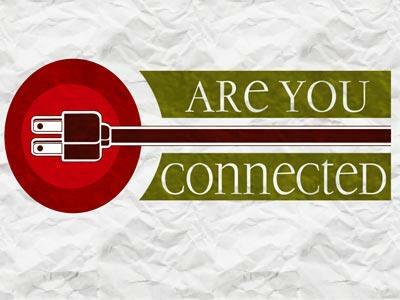 - In our day many people have a "consumer mindset" concerning church. 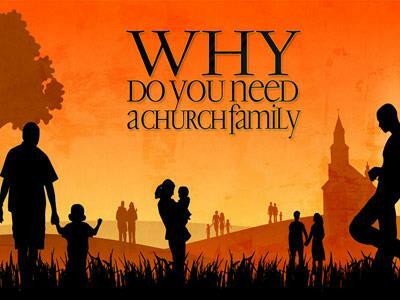 They choose a church and remain faithful to a church because of the personal benefits. These are the people that ask "what can the church do for me?" instead of "what can I do in or for the church?" - In this church (and any other that you may visit) there are several different groups of people. 1. There are those who are CEO Christians: This stands for Christmas & Easter only....There is no need for explanation, the name describes the situation. 2. There is the Sunday Morning Only crowd: We often refer to this crowd as "SMO's" You can usually expect these folks to be present on Sunday Morning, but don't expect them to give, don't expect them to serve and don't expect them to return for the evening service or prayer meeting. 3. There are those who are somewhat active: These people attend on a somewhat regular basis. You can look for them to be present as long as there is nothing else going on in their life. These are the people who will attend church IF it is convenient for them. They may serve in some capacity but you never know if they are going to be present until church starts. 4. There are the faithful few: These are the people who attend: Sunday School, Sunday morning worship, Sunday evening worship, Wednesday night prayer meeting, Men's meetings, Women's meetings, VBS, Singings, Revivals, work days and any other functions that are held at the church. 5. There are those who are in transition. You see, many (if not most) of the SMO's & CEO's were once faithful church members. They were once teachers, choir members, committee heads, deacons, VBS workers, faithful givers, great encouragers and loyal servants. But a transition has taken place. Somewhere along the way their attendance began to slip. They began to miss Sunday School periodically. And then more and more, until they completely quit attending. But they were still faithful to attend all three worship services (for a while). Then after a while Sunday nights became to burdensome and they stayed at home or went other places. Then work got in the way and Wednesday night attendance became sporadic. Until (like Sunday School) they quit attending all together. Then all that was left was Sunday Morning. And before long Sunday Morning attendance became sporadic. And many of them woke up one day and realized they haven't been to church in months. And there are some of you who have one foot out the door as we speak. - One of the factors that contribute to this problem is that many people have an unbiblical view of church membership. Listen to some actual statements made by church members about their local assembly. ------ "I will be faithful to this church as long as you play MY KIND OF MUSIC! ", " I will be faithful to this church as long as you SING MY KIND OF SONGS! ", " I will be faithful to this church as long as you MY PREFERRED TRANSLATION OF THE BIBLE! ", " I will be faithful to this church as long as you OFFER THE KINDS OF MINSITRIES THAT WILL EXCITE MY CHILDREN!" Some would say "I have been a member of this church for decades and I HAVE A RIGHT TO GET WHAT I WANT FROM MY CHURCH!" - I wish I was making these statements up but I have heard all of them at one time or another and many of them first hand. 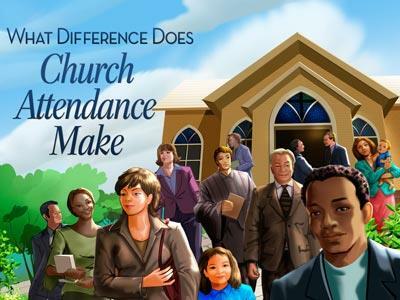 A sermon examining the importance of church attendance.